Yay! Yippeeeee! Woohooo! It’s time for my favorite 12 posts of the year! I’ve been cranking out batches of cookies since October, people — October — in preparation for this series. I’ve made some great cookies, some mediocre cookies and a couple really bad cookies (remind me to show you pics of the Burnt Caramel Cookies — holy disaster) but the next 12 days are devoted to the most delicious of the bunch. I (and my taste testers) truly loved each and every one. 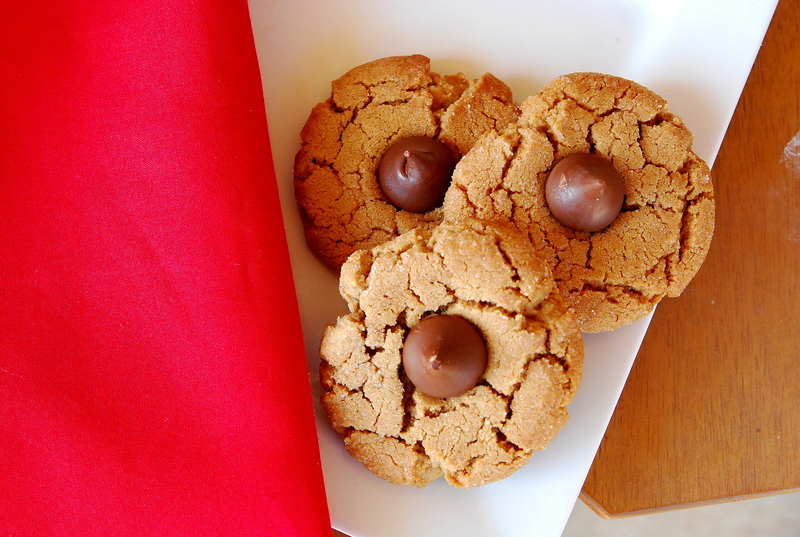 These first cookies are a twist on the Peanut Butter Blossoms you see at almost every holiday party — the peanut butter cookie with the Hershey’s kiss plopped in the center. Dón’t get me wrong, I love those cookies but these are even better. If you’ve never had Cookie Butter (which is the Trader Joe’s version of Biscoff spread), it’s the same consistency as peanut butter but has a delicious spiced cookie flavor. The spices are perfect for a holiday cookie — not quite as strong as gingerbread, but jam packed with warm, toasty flavor. You can buy Cookie Butter at Trader Joe’s. The brand name for it (at other regular grocery stores) is Biscoff spread, and it’s a spiced cookie spread that’s usually found near the peanut butter in your regular grocery store. It is so darn good I dare you to not spoon it right out of the jar. Preheat oven to 375 degrees F. Line a baking pan with silpat or parchment. In the bowl of a stand mixer fitted with a paddle attachment, combine the butter, Biscoff/Cookie Butter, brown sugar and sugar. Beat together on medium high speed until light and creamy, about 3-4 minutes, scraping down the bowl as necessary. Add the egg and vanilla and mix until combined. Add the flour, baking soda, and salt and mix until just combined. Roll dough by even (not rounded) tablespoon-fulls into small balls. (I was in a hurry and made mine too big. These are better if the cookie is just a little bigger than the Hershey's Kiss.) Roll each ball in cinnamon sugar until it is coated completely. Place on the prepared sheet pan about 2 inches apart. Bake until cookies are beginning to crack on the surface and the bottoms just begin to brown, about 10 minutes. 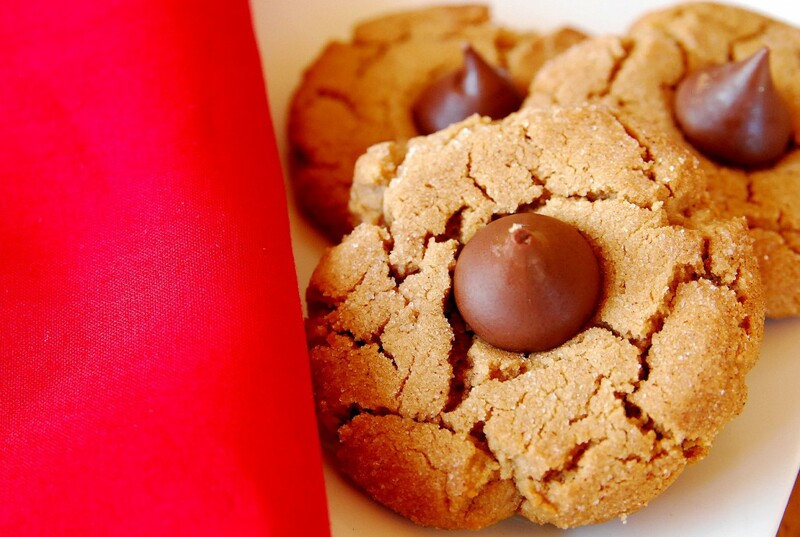 Immediately after removing cookies from the oven, place a Hershey's kiss in the center of each cookie, pressing it down gently. After a few minutes, transfer cookies to a wire rack to cool. Store cookies in an air tight container at room temperature for up to 7 days.